Lightweight Motorcycle Club welcomes riders of all ages from pee-wee, juniors, seniors, one day license holders and vets across all associated classes to ride at our club. Facilities include two canteens, three toilet blocks, two first aid posts, a large cement wash down bay, pit sheds, timing towers and two tracks which cater for both Motocross and Arenacross. 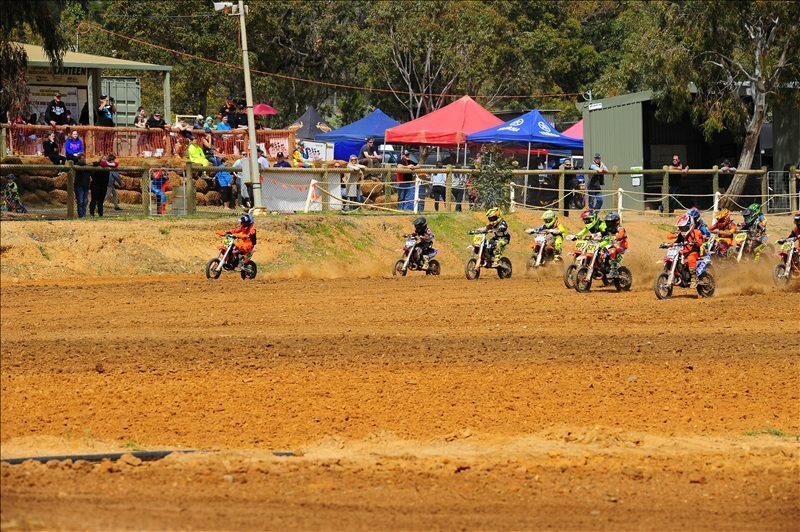 Ours is the only club in WA which has a Motocross and an Arenacross track. Numerous events are held each year including Arenacross under lights, Motocross club points days, open events (Junior & Senior) and State Motocross Championship rounds (Junior and Senior). We are constantly working to improve and upgrade our tracks and open our track up for coaching clinics with a variety of coaches. Our club promotes a family atmosphere and has great viewing for spectators and family members. We look forward to a great season! And really looking forward to its members contributing to promote our club, which has a lot to offer. The committee is already working hard with raising new sponsors and grants to take the club to a new level. The Club needs your support through out the whole season! How do I become a Member of the Club? Click on the Membership link in the top menu and follow the instructions. Check out our Facebook page for the most up to date information.